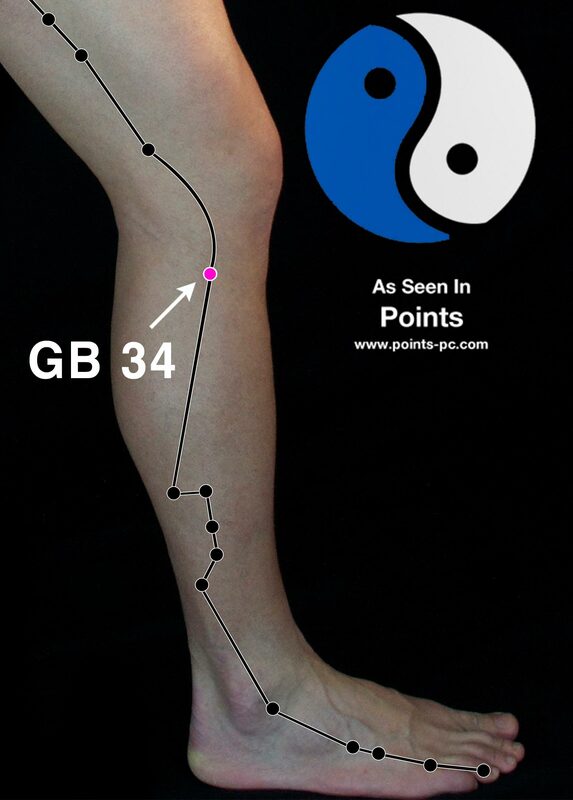 Anytime you have a tendon or ligament problem, ANYWHERE in your body, you need to think of Gallbladder 34. Got ankle pain? Add Gallbladder 34. Got shoulder pain? Add Gallbladder 34. Got hip problems? Add Gallbladder 34. You get the point…. Gallbladder 34 is good for ANY problems related to tendons and ligaments. The course of the Gallbladder channel includes temple headaches, neck pain, shoulder pain, sciatic nerve pain, hip pain, and ankle pain. It’s really easy to reach wherever you are. If I am having pain in any of those areas, I like to go down and push on this point. It’s amazing how instantly I get relief from pain with one single acupuncture point. Try it. It really works! 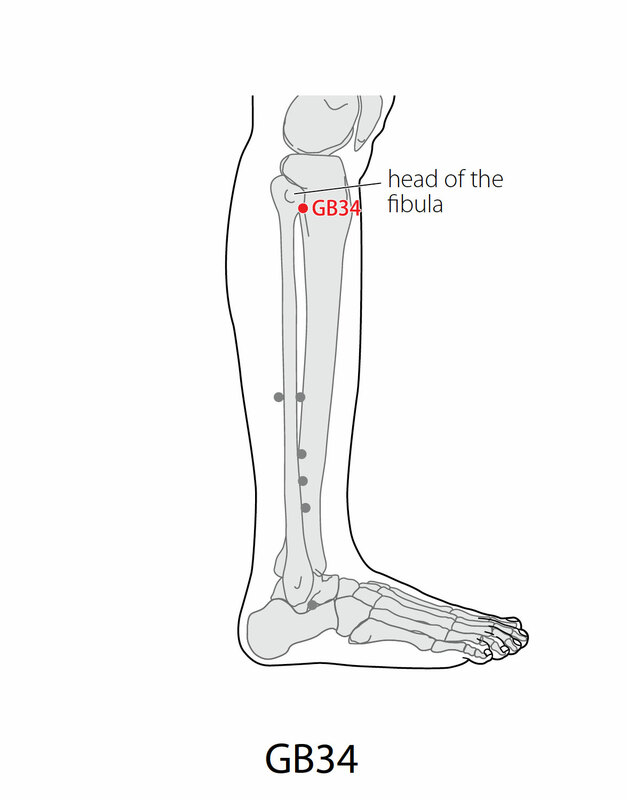 Location: In a depression anterior and inferior to the head of the fibula. Attributes: He-Sea, Earth point of the Gall Bladder channel. Influential point of the Sinews. Ma Dan-yang Heavenly Star point. Lower He-Sea of the Gall Bladder. TCM Actions: Soothes the sinews and vessels; clears gallbladder heat; expels wind from the knee and legs; courses damp and stagnation in the channels and connecting vessels. Indications: Hemiplegia; atony, bi and numbness of the lower limbs; pain and swelling of the knee; lateral costal pain; bitter taste in the mouth; vomiting; jaundice. Secondary Indications: Fullness in the chest and lateral costal region; bitter taste in the mouth; sighing; urinary incontinence; constipation; headache; wind-strike hemiplegia; swelling of the mouth, tongue, throat, head or face; disorders of the sinews. Needle Information: Perpendicular insertion .8 – 1.2 cun. Moxibustion is applicable. We’re so glad to hear that! Thanks for your comment!